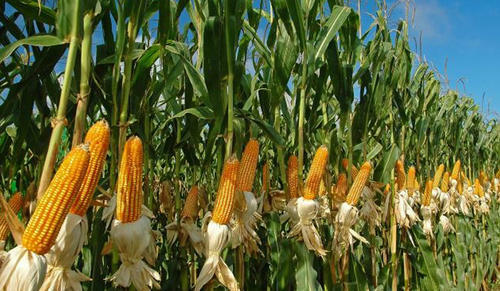 Climate change and lack of mitigation strategies is likely to have a great impact on maize production in the North East region considering its geographical location, according to experts. Being third important cereal crop in the world next to rice and wheat, Maize is cultivated by hill farmers of the North Eastern region both askharifandrabicrops. Despite the high demand for Maize as it was consumed by the humans and live stocks, the productivity of the crop in north east is reported to be very low as compared to the national average (2.5 metric tonnes per hectare). According to a scientific paper “Climate change in North East and its likely impact on maize production” by S Hazarika of Indian Council of Agricultural Research (ICAR) for NEH Region Umiam, Meghalaya, maize production of North East is largely dependent on the monsoonal rainfall as the region falls under high rainfall zone and is characterized by having a difficult terrain, wide range of slopes and elevations, varied land tenure system, ethnic diversity, diverse food habit and cultural practices. Rainfall influences maize growth during monsoon season by influencing soil moisture availability. Climate change vulnerability profiles for north east India show that in Tripura, Mizoram, Manipur, parts of Meghalaya and Nagaland, the flood magnitude is likely to increase by about 25 per cent in the future compared to the present. Arunachal Pradesh, Assam, Sikkim and parts of Meghalaya are likely to experience floods of lower magnitude in future. Maize plants will be severely damaged after a short period of water logging and large area of maize will be lost even after a quick inundation. A normal maize crop require 700 mm rain to complete the life cycle with good production and increase in water beyond 700 mm and lower than that reduces the crop growth and yield.